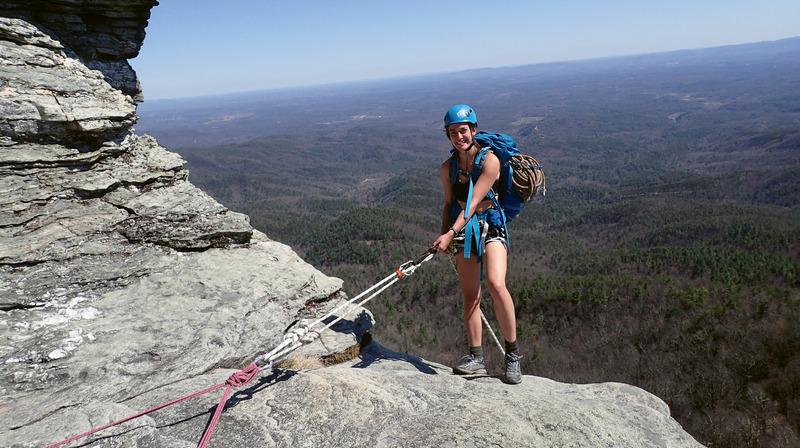 As part of her Wilderness Leadership and Experiential Education course work, Katie King learned advanced rock climbing in the Linville Gorge. Jennifer Kafsky, director of Brevard College’s Wilderness Leadership and Experiential Education program, says it is one of the most distinctive in the nation because of its special focus on helping students become effective and ethical leaders. Of course, teaching leadership isn’t so easy with a chalkboard. That’s why future grads are required to complete a 21-day wilderness expedition in their Immersion Semester. That gives students a strong base for handling tricky situations with future students and clients, and it prepares them for careers in wilderness therapy, experiential education, and public park operations. Sorting out the difference between a red oak and white oak is just one of the skills best learned in the woods. Located in Waynesville and at the doorstep of tens of thousands of acres of public and private forests, Haywood’s Forest Management Technology program emphasizes hands-on learning, using the campus and several teaching forests as outdoor labs to give students skills in identifying trees, measuring stands, fighting fires, and surveying. The only two-year degree program in North Carolina recognized by the Society of American Foresters, it attracts students from throughout the state and region. 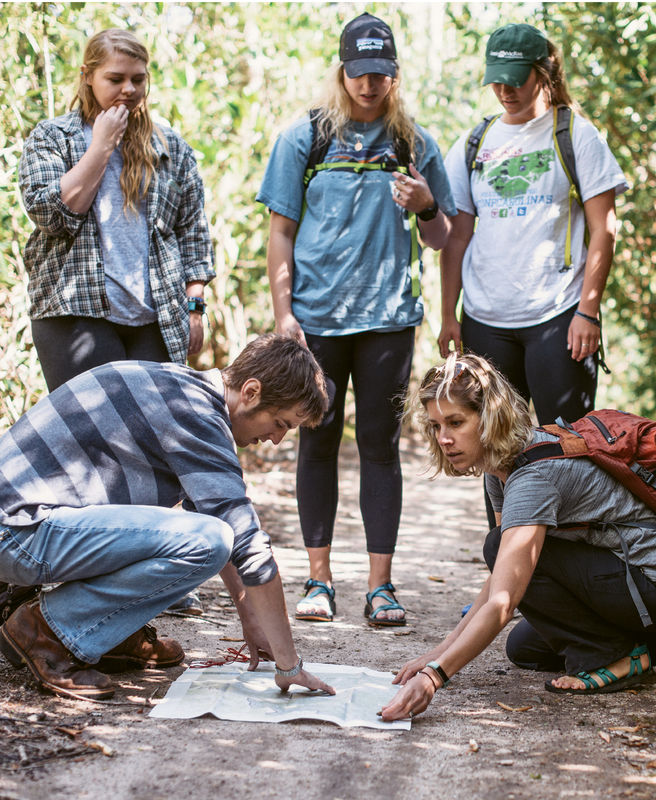 On a trail that runs through Lees-McRae’s campus, Outdoor Rec Assistant Professor Katie Wall (kneeling right) works with students practicing map and compass triangulation. 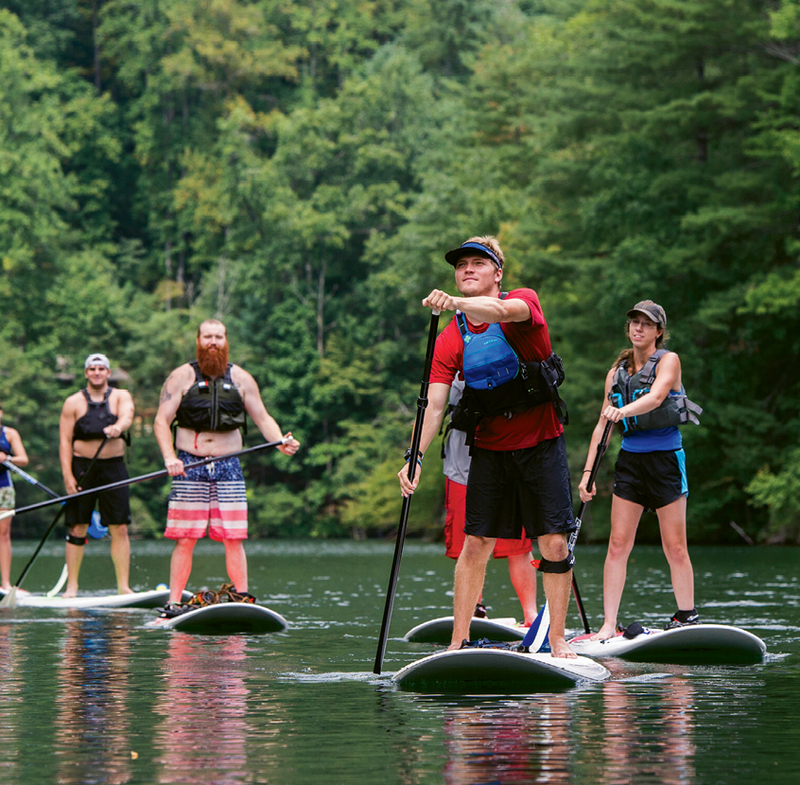 UNCA’s Outdoor Leadership Training Program is a unique development curriculum. A year-long program, the collection of courses serves as a pathway for those who aim to become outdoor trip leaders themselves. From September to April, students participate in team-building events, classroom lectures, and meetings to prep them for leading trips, says OLTP staff member Leah Belt. In addition to instruction in backcountry cooking, the basics of group dynamics, and low-impact camping, students also take on leadership roles. “Being a leader pushes them out of their comfort zones,” says Belt. “That allows them to become more confident in the classroom. Building budgets, developing marketing strategies, and evaluating balance sheets are all in a day’s work for Outdoor Recreation Management majors at Lees-McRae. Assistant professor Katie Wall says it’s the only outdoor rec program in the nation that combines a hands-on business education with skills for careers in the outdoors. “It gives our students another avenue in the outdoor industry,” she says. While students are immersed in gaining technical outdoor skills and learning experiential pedagogy, they’re also equipped with the know-how to start or manage an enterprise, whether it’s a bike shop or an outdoor program.